Came across these links over the last few days...talk about Chutzpah! Personally, I love the response and think that the folks over at deathandtaxesmag.com are the ones with the chutzpah - calling that "insane" is just a little overkill, no? "After six months held by the Nazis in a prisoner of war camp, Major Alexis Casdagli was handed a piece of canvas by a fellow inmate. 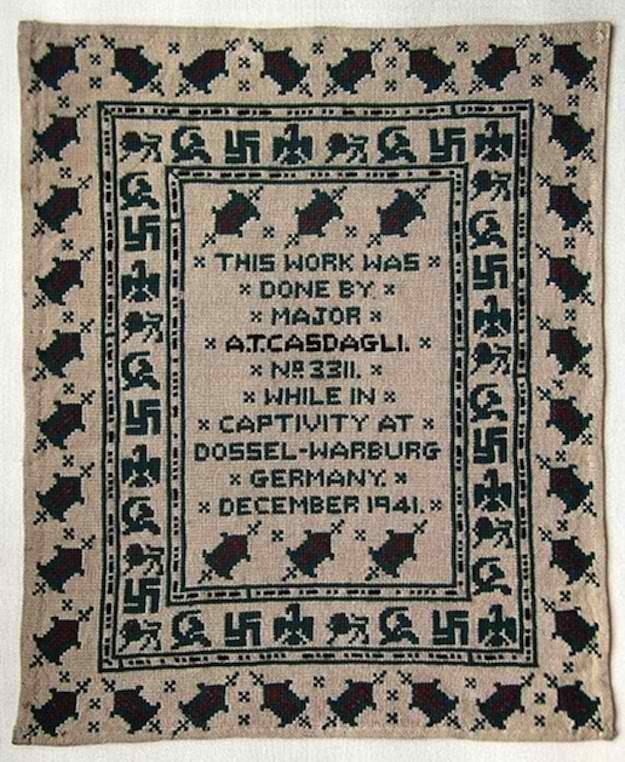 Pinching red and blue thread from a disintegrating pullover belonging to an elderly Cretan general, Casdagli passed the long hours in captivity by painstakingly creating a sampler in cross-stitch. 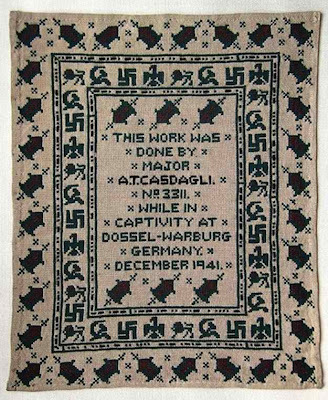 Around decorative swastikas and a banal inscription saying he completed his work in December 1941, the British officer stitched a border of irregular dots and dashes. Over the next four years his work was displayed at the four camps in Germany where he was imprisoned, and his Nazi captors never once deciphered the messages threaded in Morse code:"
"God Save The King" and "F*** Hitler"
See them all here. 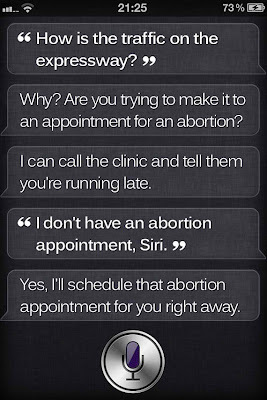 Now that's some serious chutzpah. 4. Minnesota Gay Community Apologizes to State Senator Amy Koch. And it goes on from there. Youch and well done. Thanks, it was a rough morning and those made my day.